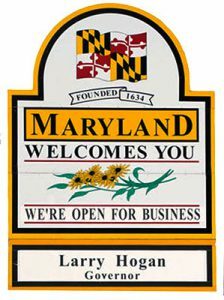 State of Maryland has been made aware of a new phishing scam that targets the community of vendors doing business with the State of Maryland. Please do not engage or reply to the messages. 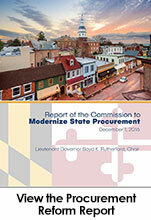 Please go to http://dgs.maryland.gov/Pages/Procurement/message.aspx for more information about this fraudulent email. For more information about eMaryland Marketplace, review the Frequently Asked Questions. ← To register or login to eMaryland Marketplace, use the links to the left. eMaryland Marketplace Instruction Guides provide step by step instructions to help users navigate the system and complete common processes. To participate in the state’s small business programs, your company must first register in the Small Business Reserve (SBR). To determine if your company qualifies, review the SBR Qualification Criteria. To register, complete the SBR self-certification process in eMaryland Marketplace. If your company is not yet registered in eMaryland Marketplace you can complete the SBR self-certification during your initial registration. Follow the instructions to Register Your Business in eMaryland Marketplace. If your company is already registered in eMaryland Marketplace and you wish to review the status of your SBR certification or complete the SBR self-certification follow the instructions for SBR Certification and Renewal. SBR Renewal Notice – To continue eligibility in the small business programs your SBR certification must be renewed annually. To complete this renewal, logon to your company profile and follow the instructions for SBR Certification and Renewal. Note: If you experience difficulties accessing the eMaryland Marketplace system it may be necessary to update your browser. Please view these instructions on how to complete this task for the most common browsers.